Have you let yourself go a little during the summer break/wedding season? Are you looking for a new challenge? Do you want to get more out of life? Are you looking for healthy food alternatives? Is it time for a lifestyle change? If you answered yes to one or more of these questions then March Mount Madness could be just what you are looking for! 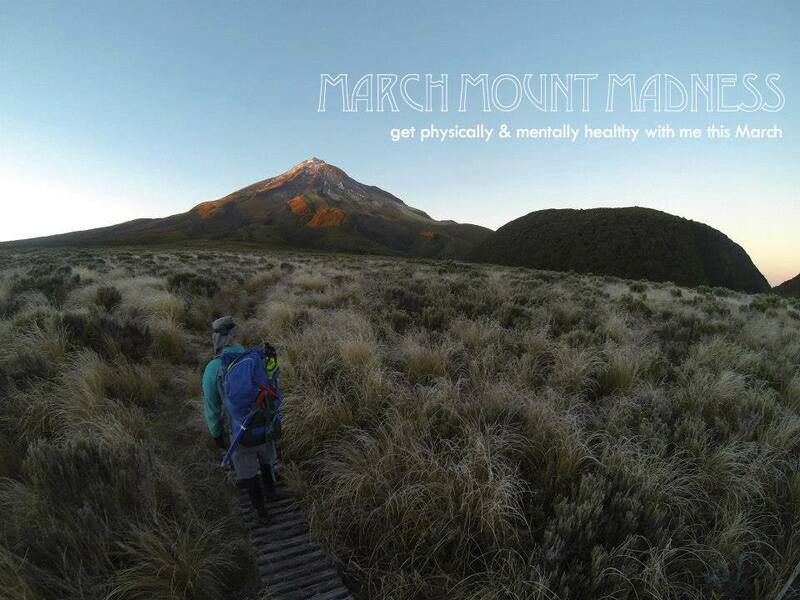 No this is not a midday infomercial, but a month long adventure to improve your overall Hauora or well-being. My post South America downtime is over, so this will be an intimate view into how i prepare my mind, body and spirit for the forthcoming Sea2Summit7 adventure. The five day countdown begins till ‘MMM’ kicks off! I will be releasing more information on what it entails each day from now, so take the path less traveled and get amongst it! It is FREE and caters for ALL ABILITIES- Stay Tuned, Like, Share, Comment, Yeeaaw!! ← Sea2summit7 will be speaking at the Feb 9 NZ alpine club meeting- Auckland. Come along!